Spokane real estate inspections: a home inspection is primarily a visual inspection. By organizing rooms and stowing belongings neatly, access will be provided for the inspector to see what needs to be seen. A thorough inspection of a Spokane home and its major components can only be done with water, power and gas turned on. If the home uses fuel oil, be sure that there is enough oil to fire the furnace. Home Inspections done to ASHI standards require access to attic spaces. Often these access panels are located in closets, garages or other storage areas. Take a few minutes and clear the area immediately below and around these access panels, which might require moving a car out of the garage. Electric panels are an important part of a quality home inspection, but they are often found in storage rooms, closets and other locations where access can be limited. Ideally, if you can provide a free space of 3 feet in front and to each side of an electric panel, it can be reviewed by the inspector. Dogs usually greet Home Inspectors with the same enthusiasm as they have for the person delivering the mail. Confining a dog (or any aggressive animal) to an area outside the house is good. But if the seller is not around is best to lake the animal with them or locked in a kennel. The furnace filler is the top maintenance item not to overlook to ensure the furnace keeps running strong. It is an easy fix and gives the impression that the house is well maintained. Most home sellers already know to keep valuable items tucked away to prevent theft during showings. But, during a home inspection is still common to come across money, jewelry, expensive electronic equipment, etc. Buyers often arrive with family members and friends and the home inspector cannot keep an eye on everyone. So, to limit the risk of theft and the headaches involved in resolving what happened. Keep things stored away. This is an anxious time for the seller and often they want to hang around the home during the inspection. However the buyer and the inspector can talk more freely and avoid awkward moments around the seller if they are not there. This is a good time for the seller to go shopping, take the dog for a long walk or get a cup of coffee at the corner cafe. Let your seller know that the inspection will take 2-3 hours, which is normal for a thorough inspection. Also, let them know that the results of the inspection will be shared with the buyer and the buyer’s agent only. 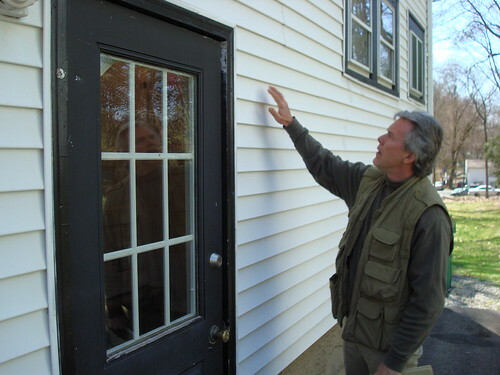 A home inspection can be an overwhelming experience for a buyer, especially if this is their 1st home. Make them feel at home with a plate of cookies, bowl of candies or some other personal touch.